It’s been a long time since Manchester was a mere industrial city, or for that matter, simply known for the ‘Madchester’ music scene or the football clubs, United and City. Manchester is now a fully-fledged cultural and economic epicentre worthy of the tag of ‘the UK’s second city’ – although we suspect Birmingham will still argue passionately about that. One of the best things about this celebrated northern English metropolis that you might not have known about, however, is its wealth of vintage shops centred on the Northern Quarter. 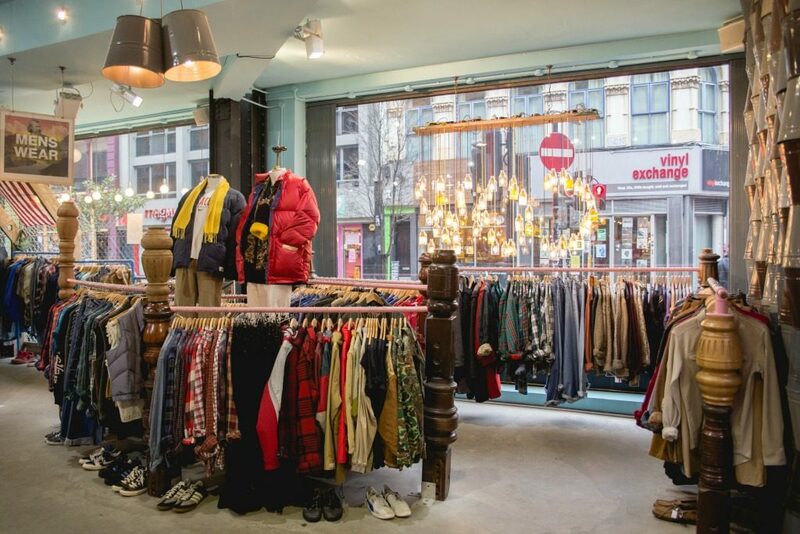 Fascinating thrift and charity shops can be found just a few minutes’ walk from each other in this part of the city, so we thought that here at RETRuly, we would take a closer look at some of Manchester’s finest outlets in which to shop vintage. This small women’s boutique on Oldham Street has attracted some seriously big acclaim from far afield, with The Telegraph even listing it as one of the UK’s best vintage fashion boutiques. When you’re looking for a dress from basically any era between the 1940s and the 1980s, this is the place to be, not least given the fastidious restoration work from which many of the store’s vintage finds have benefitted. Other dresses and skirts on sale here have been reworked with vintage fabrics. Those who wish to target the 1960s to 1980s when they shop vintage will be delighted by the split-level Pop boutique at 34-36 Oldham Street. 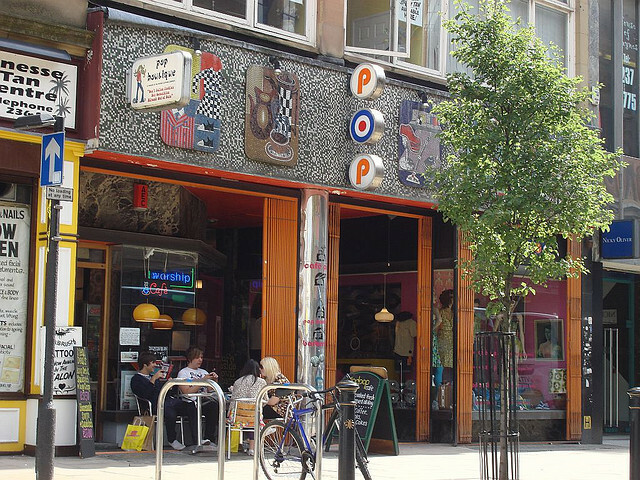 While Pop is now an international chain with outlets in London, Liverpool, Leeds and even Gothenburg in Sweden, its story began here in Afflecks Palace in Manchester in 1985. As well as all of the usual quirky and interesting styles you’d expect, there is Pop’s own branded collection and even an assortment of retro furniture and accessories on offer. Another much-appreciated Northern Quarter institution was the second to open of the now five-strong Cow chain across the country – the others, in case you’re wondering, are to be found in Sheffield, Liverpool, Birmingham and Nottingham. The store’s current site on the corner of Oldham Street and Church Street provides quite the vintage shopping experience, with a general ‘90s aesthetic evident across its selection of ditsy pinafores, flannel shirts, floral dresses, distressed denim jackets and velvet shorts. 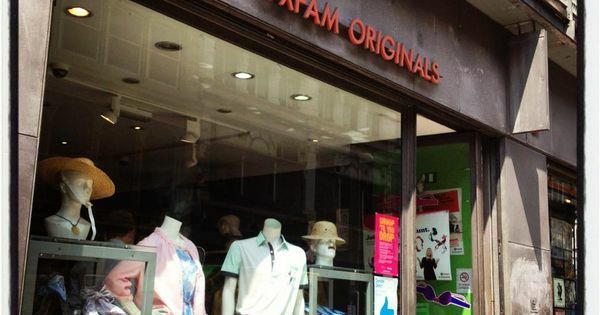 Don’t be fooled by the Oxfam name – this isn’t your bread-and-butter charity shop. It’s actually as rewarding a spot to shop vintage as anywhere else in Manchester, with a distinct ‘specialist boutique’ vibe and no shortage of forgotten high-street gems and retro-label items alike. You’ll find it at 51 Oldham Street. As you can see, Manchester doesn’t live in the past – well, maybe some of it does, but only in the best possible way! Whether you’re a northerner yourself or are a resident down south who isn’t used to venturing much beyond Watford, why not visit Manchester to discover for yourself what makes this ever-stimulating and evolving city such an acclaimed place to shop vintage?